George and Gail Braun left a life of sailing to move to Brunswick Forest a little over a year and a half ago. The couple resided in Maryland in a home on a river with access to the Chesapeake Bay and George was an active sailor who raced his boat for thirty years. When the couple decided to retire, they retrofitted the boat for cruising and spent some time sailing in the Bahamas. 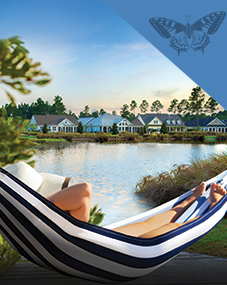 During one of their sailing trips, George and Gail stopped to visit a friend in Wrightsville Beach and, having decided they liked the area, ventured out to look around for homes and found Brunswick Forest. The Brauns visited the community again during one of Brunswick Forest’s Discovery Weekends and decided they would buy a home. Their modified Bar Harbor home, built by Kent Homes, sits on a cul-de-sac in Walden and has a lovely water view—something the Brauns were insistent upon having because of their deep love for boating and the water. 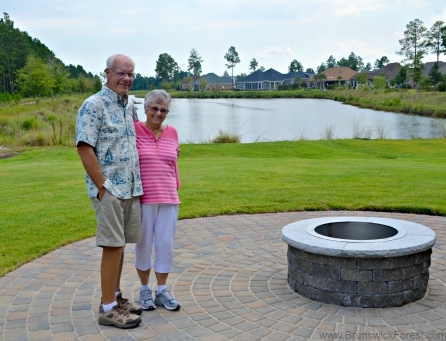 Once they moved in, George and Gail did not have any trouble getting to know their neighbors and getting involved in Brunswick Forest’s active lifestyle. Despite coming from a small neighborhood, the Brauns claim they have much more interaction with their neighbors now at Brunswick Forest. “It’s nice to have neighbors who are in similar situation as you are and get to know them,” says George. They also met many of their neighbors through Walden’s “Winey Wednesday” community social. George is very active in the community’s Pickleball Club and can be found playing the game every day. He also plays bocce ball and keeps busy with house projects—both his own and those of his friends and neighbors. 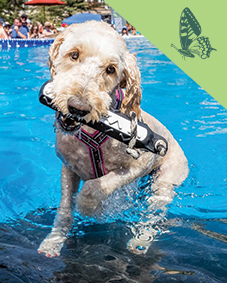 Gail enjoys water aerobics at the Fitness and Wellness Center and takes part in the community Book Club. Welcome to the neighborhood, George and Gail!